Best trips - BEST PRICES! 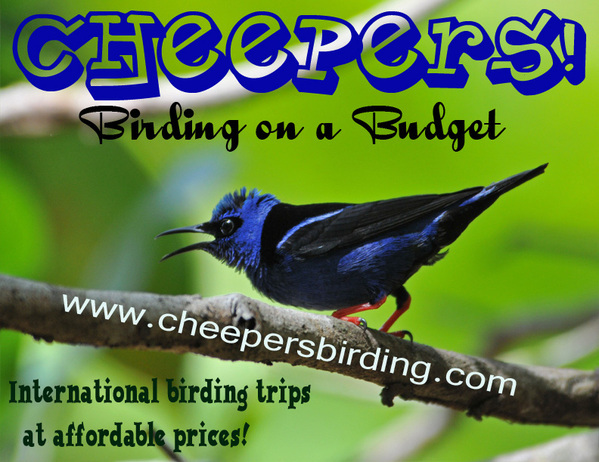 Established to provide affordable options for international birding during challenging economic times, Cheepers! strives to provide the best birding experiences at the best prices. Since its inception, Cheepers! has been able to offer outstanding birding trips to world-renowned birding sites at a lower cost than comparable trips offered by major tour companies. How can we offer similar trips at a substantial savings? First, we deal directly with local guides or lodges whenever possible. In doing so, we have eliminated the profits made by two or three "middle men". Second, we make every effort to find economical lodging while still maintaining a high standard. Our clients enjoy clean, comfortable, safe accommodations with private baths. We do make exceptions if a lodge offers better birding than a lower-priced competitor, but we don't pay extra for things like fancy furnishings or hot tubs. Third, we have very little overhead. We pay no salaries for office staff. No shiny catalogs or mailing lists. All of the planning, paperwork, accounting, etc. is done by co-owners Cindy and Jim Beckman. Last, we mark up the price we negotiate with the guides as little as possible to cover expenses and make a small profit. We are a retired couple working to supplement our income, not a company trying to maximize profits. Cheepers! is not our livelihood; it is our passion. Traveling with Cheepers! means personal attention before, during, and after your trip! Little things mean a lot - Prior to your trip, a customized checklist is created that includes cross references to plates and pages in the (international) field guide as well as two separate indexes: a family index and a comprehensive alphabetized species index. The cover and title page are personalized for your destination and dates. All checklist entries are numbered to make going over the day's sightings as easy as possible each evening. When you get home from your trip, you'll receive a detailed electronic list of all the birds sighted by the group, including a checklist for each day of the trip. You'll also receive a dvd or flash drive filled with photos from your trip, usually over 1000 shots! To quote a friend's observation, you don't travel through us, you travel with us. 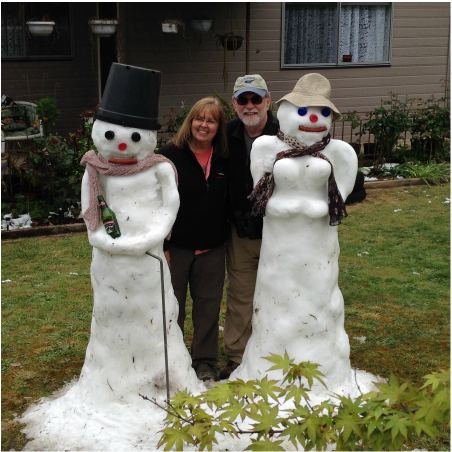 A little about the owners. . . .
Cindy and Jim in Capertee Valley of Australia after a freak spring snow storm. Cindy and Jim Beckman have birded in 29 countries on 5 continents since 1995 and have established contacts with expert guides in many of the world's best birding locations. Both Jim and Cindy are members of the Board of Directors of the Dayton Audubon Society. Cindy Beckman is a retired public school teacher. Prior to founding Cheepers!, she organized and led trips for groups of as many as 70 students and parents, as well as for smaller groups of friends, family, and birders to destinations such as Ecuador, Panama, Olympic National Park, Florida, southeast Arizona, and southern California. Cindy wrote about her experiences with young birders who she mentored during her 35 years as an educator, earning her WildBird Magazine's 2007 "Birder of the Year" award. She is an avid photographer, eager to share images with fellow travelers. Jim Beckman is a retired Senior IT Project Manager who has been an avid birder for 20 years. He has traveled extensively for most of his adult life, and loves to share birding experiences with others. He's skilled at spotting birds and helping others find birds in the dense forest, although he frequently defers to our expert local guides for identification. Always eager to help anyone who needs a bit of extra time or information to "get on" a bird, Jim is a valuable asset on any birding tour, regardless of the location.